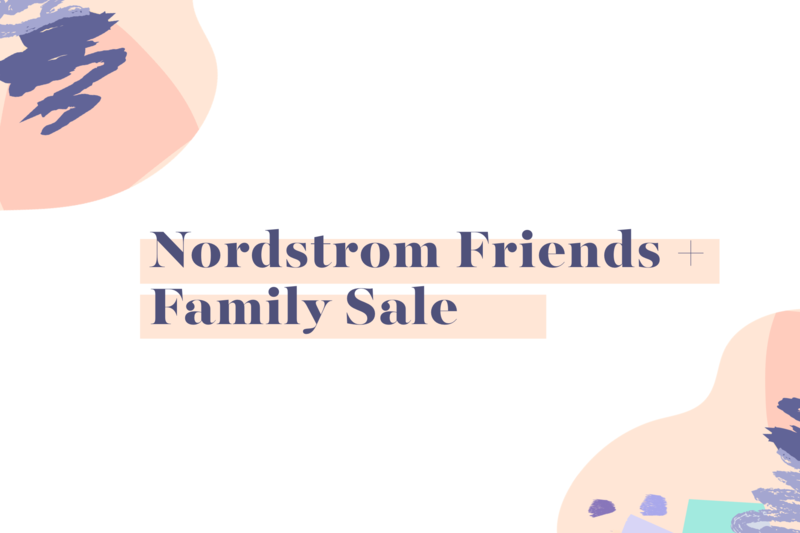 It’s that time of year again, the Nordstrom Friends and Family Sale is here!! There are sooo many good things to choose from this year! Although it’s still very much summer, this sale is a great way to stock up on some fall styles, especially denim. You can never have too many black skinny jeans or boyfriend cuts, so make sure you take a look at all of their designer jeans! This sale is also a great time to buy a fall or winter jacket. It’s so hard to find jackets on sale during those seasons and I always find myself buying someone a winter coat for Christmas, so don’t be ashamed to get some early (like, really early) Christmas shopping done. What I love most about the sale is that some things, which hardly ever go on sale (like this Alexander Wang Jacket), are available to score at such great prices! Jewelry is definitely one of those things. Some of my favorites are these Zoë Chicco earrings and this Lana Jewelry necklace. Gentlemen, this is the perfect time for you to get that special someone in your life a really nice gift without spending a fortune (well, maybe just a little fortune). Lastly, I always browse the shoe section. Loeffler Randall is one of my favorite designers and I may or may not have already added these to my shopping cart. Browse my picks below. Happy shopping, friends!